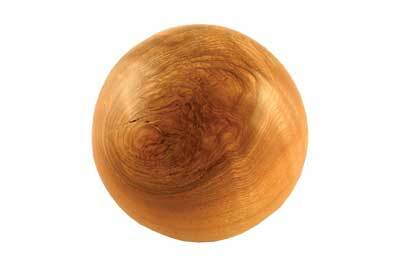 Woodturners always want to turn a perfect sphere, and they usually have their own method for doing this. You can turn a sphere by eyeballing; you can use a template or follow one of the many recipes which are based on geometrical approximations. 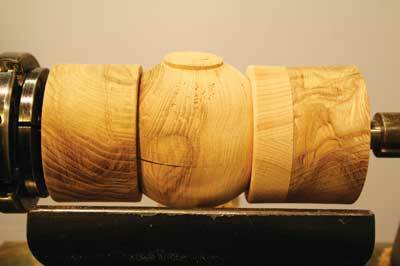 One method is based on making an octagonal cross section. You can do this by dividing the eight-sided shape into a sixteen-sided body, before smoothing that down to a spherical shape. Any high spots on a sphere can be removed, using a piece of steel pipe sharpened as a scraper. 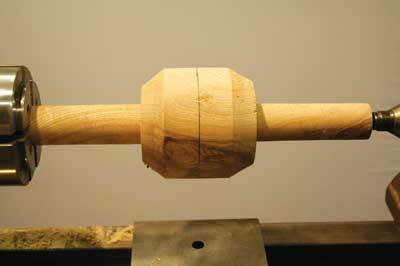 For turning balls, I usually use a Philip Steel jig, a photo of which can be seen in the gallery - image 1. 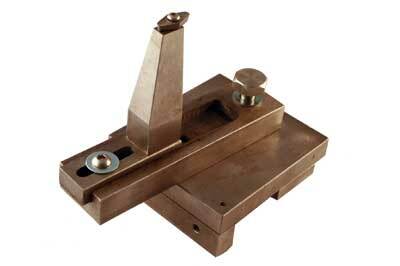 The Philip Steel jig is simple to use, easy to set up but it is made in an engineering shop. 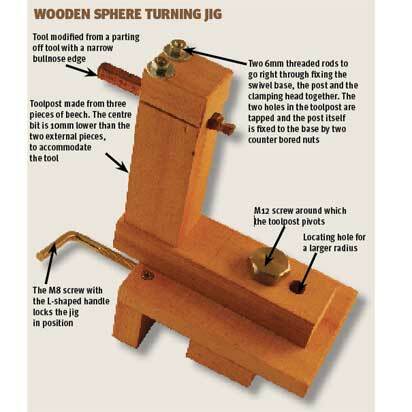 Since not every woodturner is blessed with a toolmaker friend, I decided to make a wooden version of this jig. The wooden version is similar to the metal design, but I have replaced the very specialised cutter with an ordinary metal cutting tool. 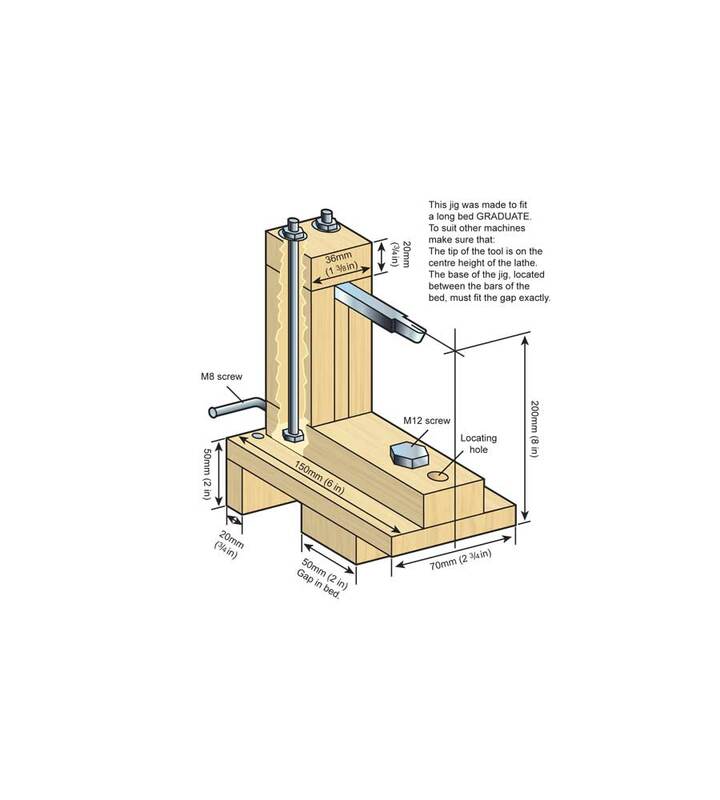 This is easier to obtain and being a solid bar â€“ 10mm square â€“ fixing, guiding and feeding all become much simpler. 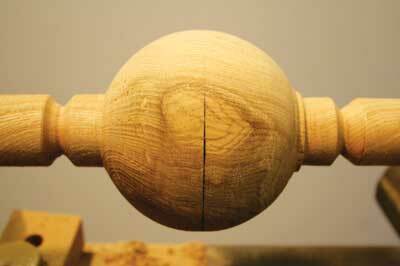 When designing the wooden version of the sphere jig, I had to ensure it was very solid and relatively shudder free in use. 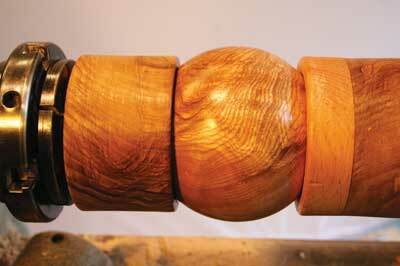 This was achieved by using two 6mm threaded rods. 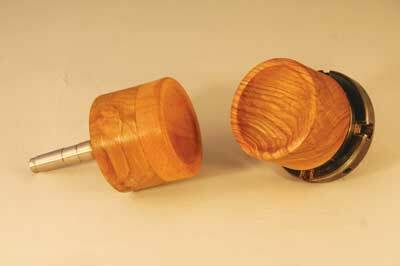 These go right through, holding the swivelling base, the toolpost and the clamping head together. 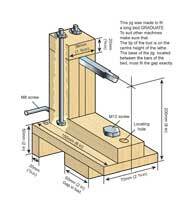 The two holes in the toolpost are tapped and the post itself is fixed to the base by two counter bored nuts. It is also glued in place. 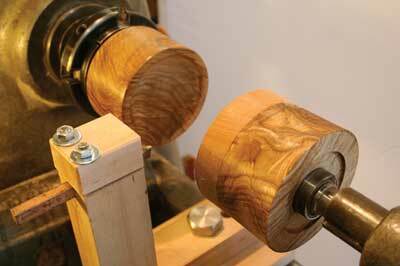 Slightly undoing the two nuts at the top allows the turning tool to be adjusted. 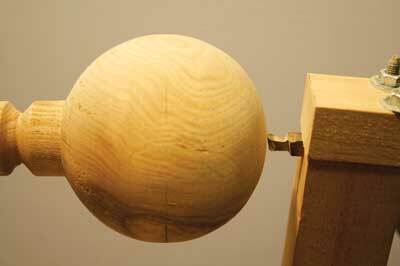 The base of the jig is 50mm wide; this corresponds to the gap in the bed of the Graduate lathe. The hole for the M12 screw, around which the cutting part pivots, must be exactly in the centre of the gap. 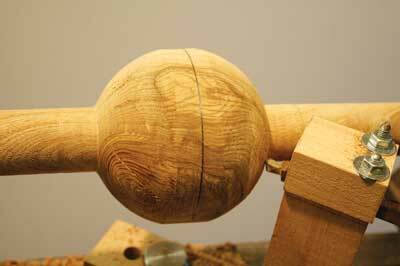 This will make sure that the sphere we make will have its centre on the axis of the lathe. This is the only critical dimension in the whole design. The M8 screw with the L-shaped handle locks the jig into position.